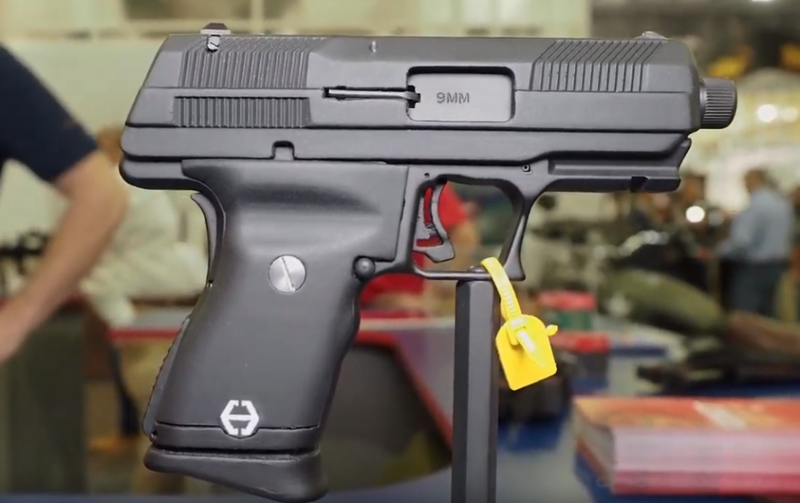 It has been about a week since we've all gotten back from SHOT Show 2019, but our coverage is still going with new releases. This time, we've got the new Hi Point prototype to show you. Hi Point doesn't have the best reputation within the gun world, as they offer some of the most economical guns out there. But, there is definitely a market for them, or they would have gone out of business a long time ago. Those people who use Hi Point Firearms swear by them, and yell from the roof tops that they're not as bad as the haters would make them out to be. I admittedly don't have that much experience with them and am therefore not about to mindlessly regurgitate what others have said, just like everyone else who's never fired one before does. One thing is absolutely certain, regardless of what you may think about their guns: They're thinking outside of their box to try and bring something new to the table: An economical gun, with options. While there isn't much info out there on this new, nameless prototype, it is currently slated to have a threaded barrel, the option to install a red dot sight, and will have an accessory rail for that flashlight or laser. We don't know what the MSRP will be on this new pistol, but they're saying somewhere in the neighborhood of $200. That price point still makes this a very economical gun. Stay tuned for updates on this, and all the new guns as updates come out. And, make sure you subscribe to our newsletter so you don't miss out on any gun news.